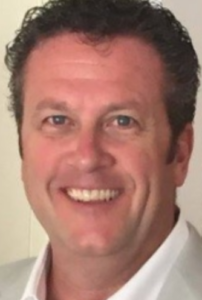 MADISON, WI – PRWEB – AUGUST 23, 2017 – GrocerKey (www.grocerkey.com), the software and operations leader transforming brick and mortar retailers into digital leaders, today announced that Matthew Gutermuth has joined its strategic advisory board. Matt Gutermuth, Strategic Advisor, GrocerKey Inc.
Gutermuth ran Safeway.com for two years where he was an early pioneer in serving shoppers digitally, doubling the size of the eCommerce business and reaching profitability. Gutermuth also held senior executive positions at Winn Dixie, where he led major functions including merchandising, private label development, and pricing/data integrity. Most recently, Gutermuth served as a senior merchandising executive at Sysco, the largest foodservice distribution company. Gutermuth joins GrocerKey’s advisory board as the company continues to sign new customers. Over the past year, the company added ten new retailers, including three chains with $1B+ in annual revenues. The company will soon announce that additional well-known retailers are becoming customers. Founded in 2014 and based in Madison, Wisconsin, GrocerKey is a fast-growing software company that helps brick and mortar retailers adapt to the new digital and mobile world. The company offers a retailer-branded eCommerce and mobile shopping solution for retailers of all sizes. Offered on a highly scalable software-as-a-service platform, GrocerKey’s solution helps brick and mortar retailers become successful omni-commerce retailers. The GrocerKey solution includes an omni-commerce platform designed to integrate with retailer’s existing merchandising, loyalty, and point-of-sale technologies. It also includes online and mobile shopping, store-based picking, and delivery management capabilities. For more information, please visit www.grocerkey.com.